An eating disorder survivor button is a positive way of showing the strength that comes with overcoming something like bulimia or anorexia. 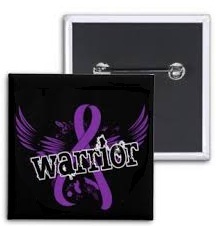 This ED button, or eating disorder button, says “Warrior” A square button for someone who won’t be kept in the box! Drunkorexia is a condition where people can drink with the purpose of it making them vomit, or when people count alcohol calories to the point that they restrict other drinks and food to control overall calorie intake. Diabulimia is when people with Type 1 Diabetes take less insulin than needed with the intent to loose weight. Males and younger people are often overlooked when it comes to Eating Disorders, but recently there has been a rise in the number of both children and males who are diagnosed with ED’s. Please be mindful that this video, I’m a Boy Anorexic, could be triggering. This entry was posted in Uncategorized and tagged buttons, square button on February 20, 2014 by Tommy Tecre. When lots of people think about Black History the first thing they think of is “race” If you ask about other terms, you may hear “slavery” or “liberation” but you might not think of the Womens Movement. First Wave feminism was arguably very Caucasian, however some Second Wave feminists recognized the intersectionality of oppression and took strides to be anti-racist. * Co-founded the Ms. Magazine, one of the first feminist magazines. * Assembled the first shelter for women affected by physical violence in New York City. * Co-created the Womens Action Alliance, a second wave group which helped women work on projects such as the shelter in New York. 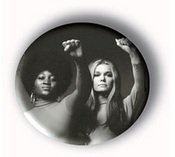 Dorthy worked with Gloria Steinem, both of whom can be seen in this feminist pin-back button. The power of a political pin-back button should not be underestimated. Pow! This Dorthy Pitman and Gloria Steinem button is a great feminist button. You can get this Black History Month pin-back button here, as well as other political buttons. Celebrate Black History Month and show your support with a Black History Month button! This entry was posted in feminist and tagged buttons, feminist, political on February 13, 2014 by Tommy Tecre. V Day – that’s Valentines Day, not Venereal Disease Day – is coming soon. Wondering what to get for your friend who you’d like to make more than just a friend? Valentines Day pin-back buttons are a perfect way to pin your potential lover down! 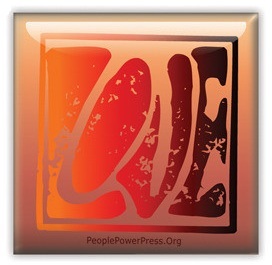 This Valentines Day button can be purchased here. Square button for your beautiful someone. This love button will have their heart in your hand. Like long painted nails? Here’s a neat tutorial on how to make some Valentines Day nail art. Just be sure to paint your nails after making any pin-back buttons. This entry was posted in Holiday and tagged buttons, square button on February 6, 2014 by Tommy Tecre. February is Black History Month, but it’s also Reading Month. Remember about Reading Month with a reading button. 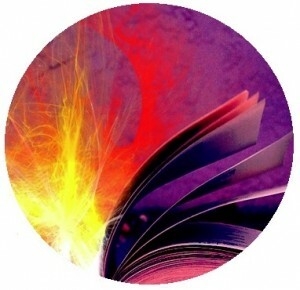 This book pin-back button is pretty colourful! You can even make book buttons out of actual books! Just make sure that if it’s not your book that it’s okay with the owner, and if it is your book make sure that you don’t need to use it later for school or something else. This entry was posted in books and tagged books, buttons on January 30, 2014 by Tommy Tecre. 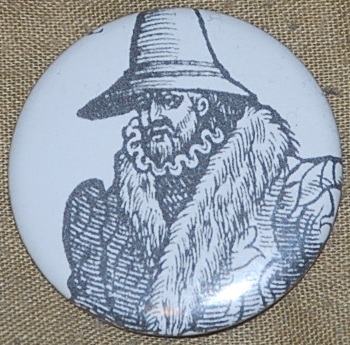 This black and white button was cut out of an unknown source. Do you recognize it? Do you ever come across buttons you don’t recognize but like for one reason or another – the drawing, colour, shape, or something else? Does the fact that you don’t know where it came from make you like it more? This entry was posted in people and tagged buttons on January 23, 2014 by Tommy Tecre. 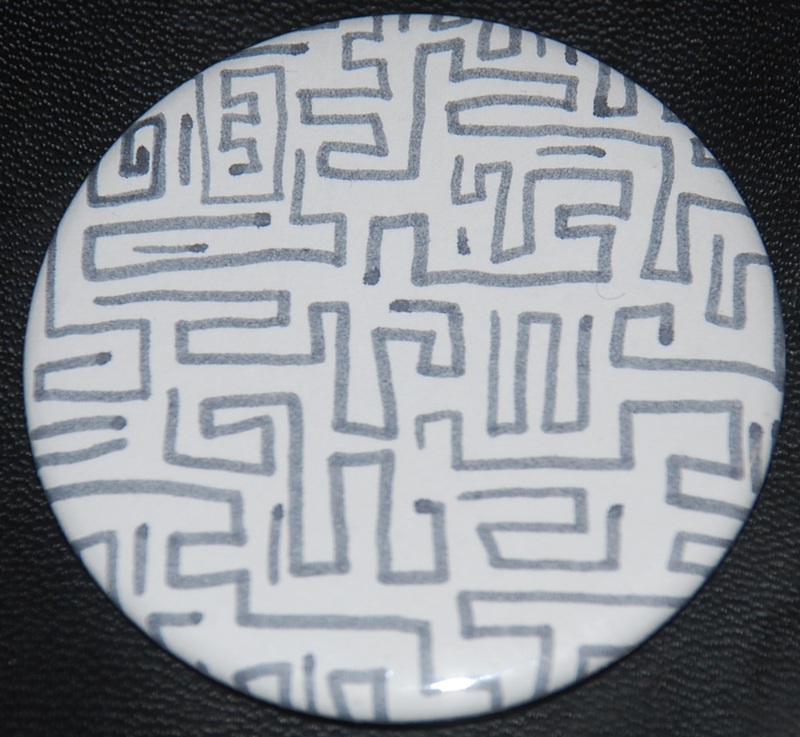 Drawing buttons is another new way to make DIY buttons. 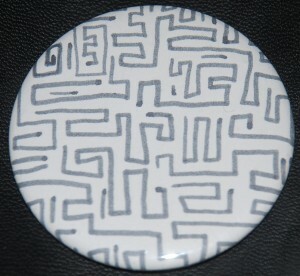 Making a maze pin-back button is simple! All you need is a piece of blank paper and some markers, pencil crayons or other writing tools. DIY pin-back buttons are great for kids since they can make their own creation, and they’re nice for parents to show off their kids art away from the fridge – but if you want to make magnet buttons of your kids art to hang your kids art up (how meta!) we have the parts for those too! This entry was posted in kids and tagged buttons on January 16, 2014 by Tommy Tecre. Sparkle buttons are a fun way to switch up traditional DIY buttons using paper. 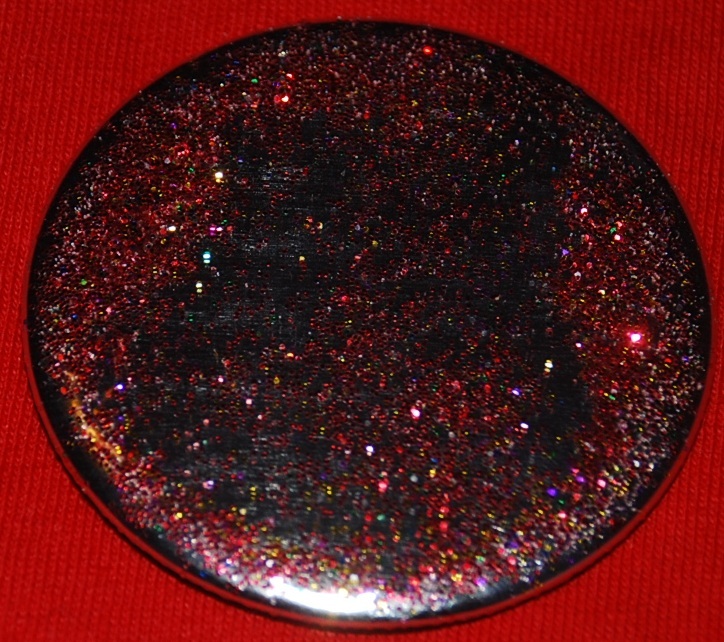 This red sparkle button was made by placing sparkles directly on the metal button. 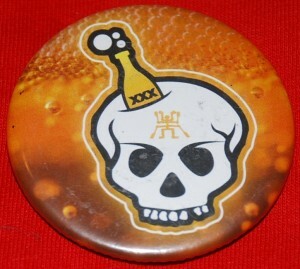 Afterwards you place the mylar on top and continue making the button as usual. 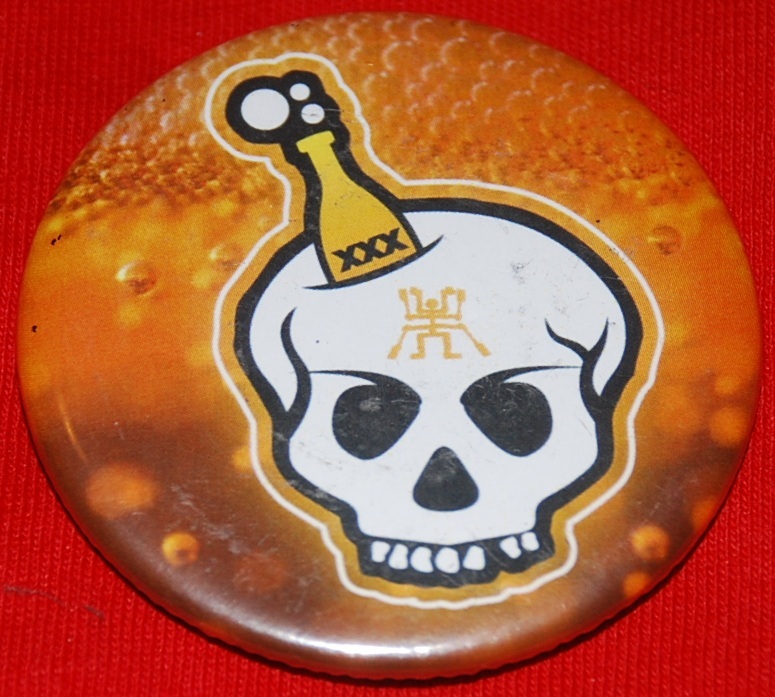 Would you make a sparkle pin-back button? This entry was posted in kids and tagged buttons on January 9, 2014 by Tommy Tecre. 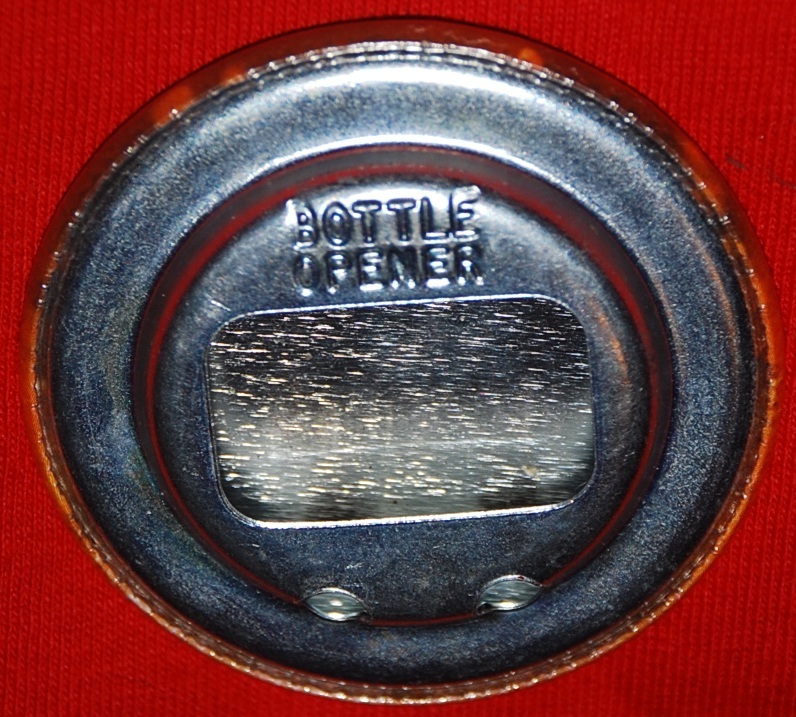 Did you know that Tecre machines can make custom bottle cap openers as well as buttons – All you need are the proper parts. You can make custom beer openers for your friends with pictures of themselves, their favourite sports team or TV show – perfect for playing drinking games, and you will never be left without your bottle opener when someone mistakenly walks off with it. 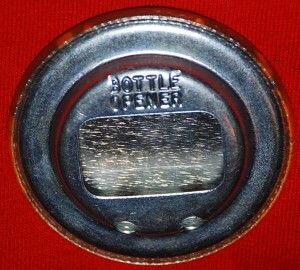 This entry was posted in Tecre Button Makers and tagged bottle opener on January 2, 2014 by Tommy Tecre. Santa Claus gets so many cookies and glasses of milk – why not leave him something different, like a Santa button? Santa really enjoys this Santa Claus pin-back button. 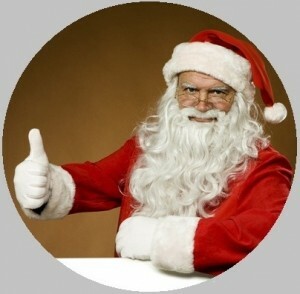 A Santa button would look wonderful on his suit! Did you know that Santa Claus lives in Canada? He made sure to come out to the parades that took place last month, early enough to give him time to do last minute preparations back home before Christmas Eve. Here’s a view of the parade you’ve probably never seen before! Ho Ho Ho – This season make some holiday buttons with your family. It can become a beautiful tradition. This entry was posted in Holiday and tagged buttons, holiday on December 23, 2013 by Tommy Tecre. Put on a pair of skates – and a skating button. Black and white skating pin-back button. Perfect match for any outfit! The oldest pair of ice skates were found at the bottom of a lake in Europe, and are believed to be from 6000BC. Skating was a good way to get around in winter weather, but it wasn’t seen as a sport at first. 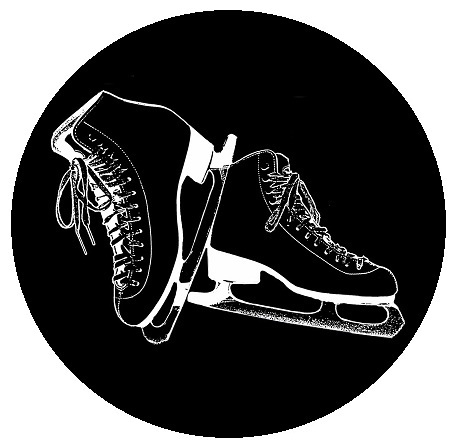 Figure skates were created in the 1870s, and it became an Olympic sport in the 1908 games. Even if you don’t see yourself as an athlete, skating is a good way to keep fit. You can burn over 350 calories with just one hour of casual ice skating! This entry was posted in Outdoors and tagged buttons, sport on December 16, 2013 by Tommy Tecre.